Xpert FII & FV Genotype Panel G109 is intended for in vitro use as a quality control to monitor analytical performance of FII & FV detection on the GeneXpert® System. Xpert FII & FV Genotype Panel G109 is formulated to monitor the detection of mutations Factor II G20210A and Factor V Leiden G1691A, the most common genetic risk factors for thrombotic events. 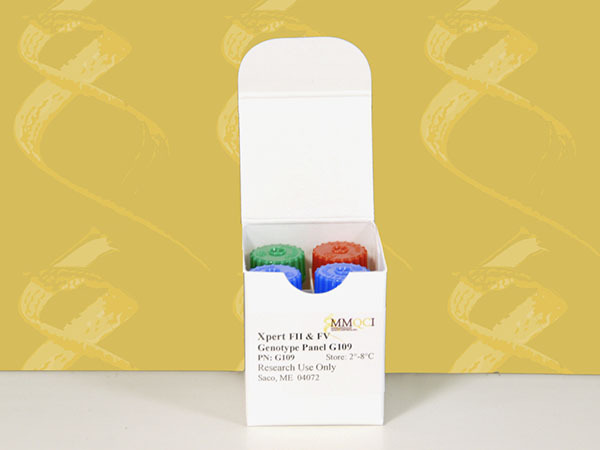 Xpert FII & FV Genotype Panel G109 is provided for Research Use Only (RUO).